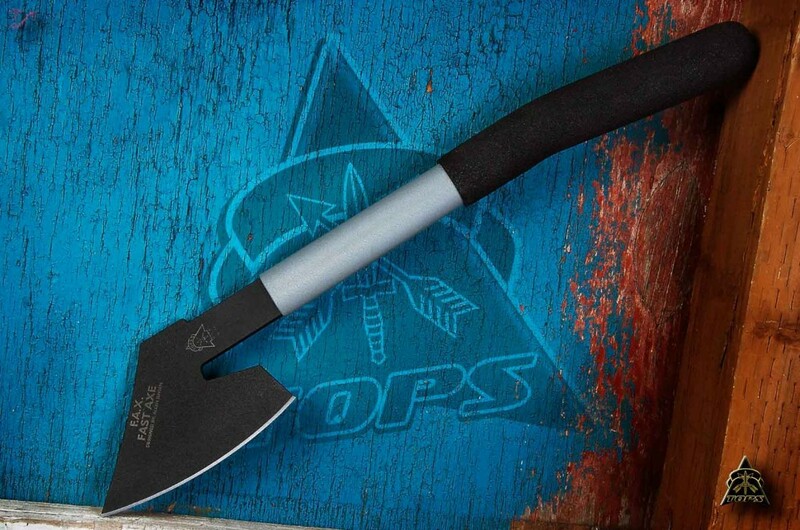 The TOPS Fast Axe makes a great companion for individual or group use. 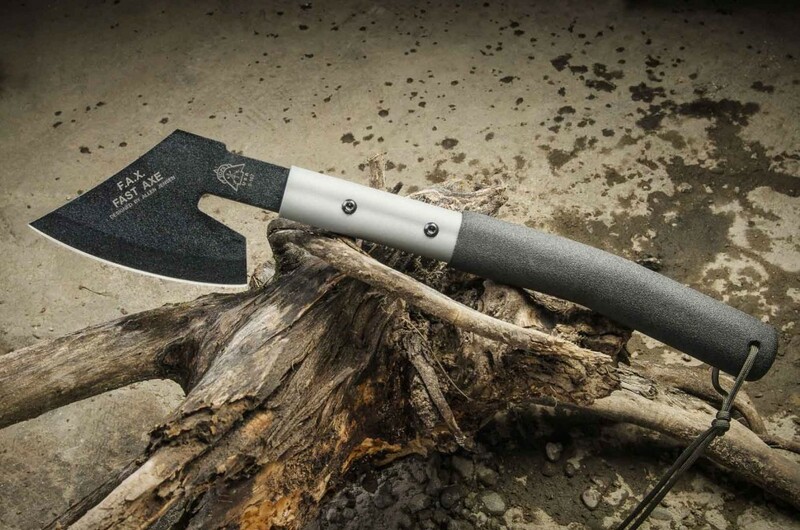 For many years our good friend Allen "The Ax Man" Jensen, has designed and developed tools for his outdoor ventures. He is a Scout leader, knife and ax designer, and has spent a great deal of time in the outdoors working with members of the BLM, Forest Service, and Hot Shot crews (highly trained wild land firefighters). With his practical engineering background (AKA MacGyver), he uses the information he gathers, digests and analyzes it to perfect his field tools. His creation known as the F.A.X. 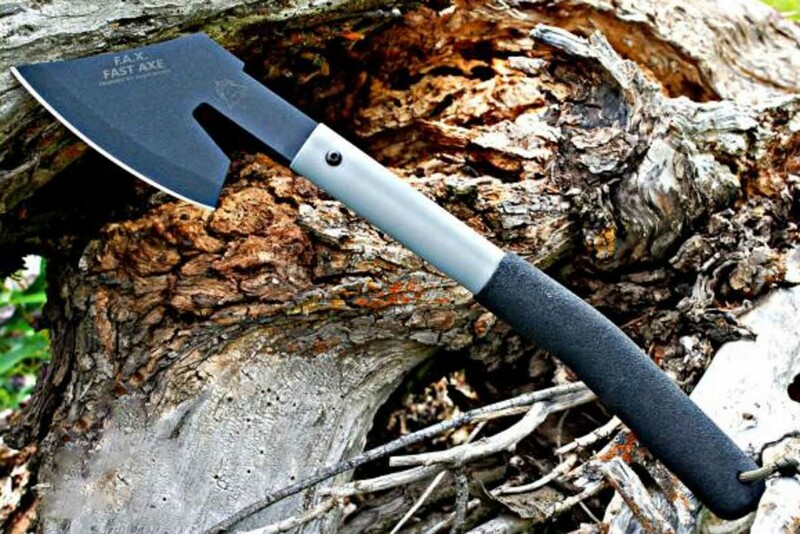 or Fast Axe is a lightweight hatchet alternative for campers, hikers, or trekkers. The Fast Axe's head, with its wide cutting edge made of 1095 High Carbon alloy, takes a deep bite when taking down light wood, taking an animal apart, making tent poles, processing firewood, or doing a host of other camp chores. 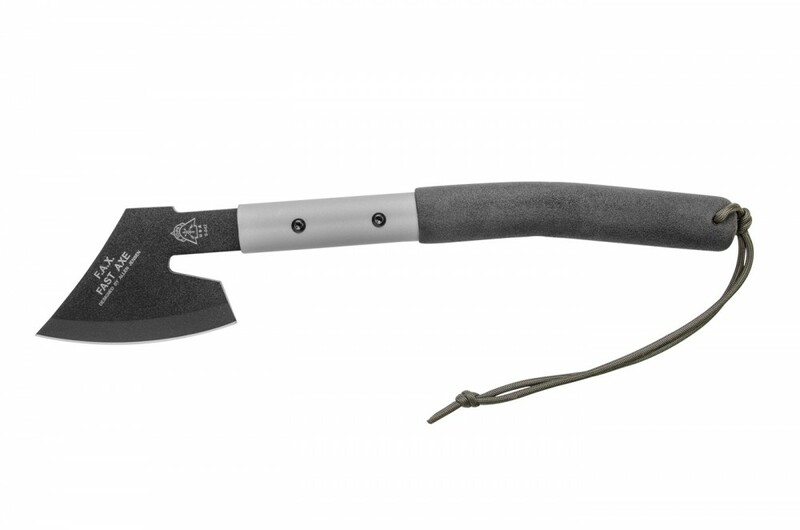 It has a Chrome Moly alloy (4130) tubular handle and the head is pressed and pinned deeply into this handle. The combination exhibits strength and ductility. An 8" long EEZER foam grip ensures a solid nonslip grip for the most rugged situations. This is manufactured through a patented proprietary process and is unmatched in quality and durability.A Kydex "snap on cover" protects the edge of the blade and has a spring steel clip for easy belt attachment. Allen Jensen is also known for creating the Fireman's Backup which was featured on the cover of Blade Magazine SEPT 2007, and for designing a multitude of other great tools.